READ OUR FREE "BUSINESS" COACHING NEWSLETTER! READ OUR FREE "STARTUP" COACHING NEWSLETTER! 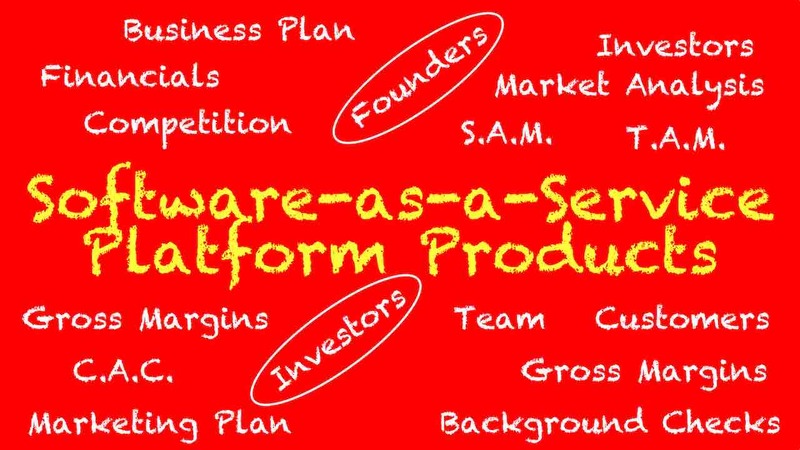 This is the Idea To Growth premier Software-as-a-Service (SaaS) product. Our Investment Readiness Program (IRP) Software-as-a-Service program is specifically targeted to help both Investors and Entrepreneurs before, during and after the fundraising process. What is the IDEA Stage of a Company? The IDEA Stage is the earliest stage of a company formation. It is when the Entrepreneur has that "Spark" that brings on a strong feeling of excitement. What should the Entrepreneur Focus on in the Idea Stage? How many companies are serving this market? Are there other well-funded startups with a similar or better idea? Can I identify a potential team to help me Build this Idea into a Company? How much time and money will it take to Build a prototype? Can I identify and speak to potential customers to verify the need for my product IDEA? ... and this is just to get started on confirming the investability at the IDEA Stage. What is the BUILD Stage of a Company? The BUILD Stage is the 2nd stage of a successful company. It is when the Entrepreneur has verified that their IDEA "Spark" has merit and they embark on building prototypes and early customer alpha and beta testing of those prototypes. The end goal is to confirm that you have a product that many, many customers will pay you handsomely to buy. What should the Entrepreneur Focus on in the BUILD Stage? Update the Competitors product statuses - is your product sufficiently better? Assemble the key management team - CEO - CTO - CRO? Customer feedback of production prototypes - will they pay what you need them to be very profitable? ... and this is just to get started on confirming the investability at the BUILD Stage. What is the LAUNCH Stage of a Company? The LAUNCH Stage is the 3rd stage of a successful company. It is when the Entrepreneur has sufficient BUILD Stage paying early adopter customers to justify ramping up the spending required to Launch the product to a large number of customers. The end goal is for the company to make a big splash in the market with their product and grow sales from <$100K to a range of a $1M annual run rate. What should the Entrepreneur Focus on in the LAUNCH Stage? Update the Competitors product statuses - how are they responding to your product? ... and this is just to get started on confirming the investability at the LAUNCH Stage. Get Our FREE White Paper: What is Investor Due Diligence and How Do I Prepare My Startup? What is the GROWTH Stage of a Company? The GROWTH Stage is the 4th stage of a successful company. It is when the Entrepreneur has ramped sales during the LAUNCH Stage to >$1M ARR and now is capital constrained to grow at a faster rate. The end goal is for the company to have the capital necessary to Grow from $1M ARR to 10X - 20X or 30X that $1M ARR rate. What should the Entrepreneur Focus on in the GROWTH Stage? ... and this is just to get started on confirming the investability at the GROWTH Stage. ◉ What are the differences between an "Angel", "Seed", and "VC" Investor? An "Angel" Investor got their name because they are the earliest investors a person can find. They are the "Angel" that invests money into a Startup when few others will. They are a "high net worth individual" whose may come from "Old Money" or "New Money". Most Angel Investors tend to invest in "what they know". This means they tend to invest in areas related to their prior work experience. This statement is also true of Seed and VC Investors. A "Seed" Investor or Seed Fund get their name because they are the formal investors that have a venture fund. They provide the "Seed" capital that invests money into a Startup, typically at the IDEA or BUILD Stage. Seed Funds typically range in size from $3M to $30M but some can go above $100M in investable funds. A "VC" (Venture Capitalist) Investor or Venture Capital Fund get their name because they are the formal investors that have a venture fund. A Venture Fund tends to have a focus. They may focus on Seed-Stage Investment opportunities. They may focus on Series A or B Stage Investment opportunites. They may focus on "Late Stage" (C Stage and Later) investment opportunities. Venture Funds and their Venture Capitalists almost always only invest in "what they know" and it is rare for them to stray. ◉ What is "Investor Due Diligence"? "Investor Due Diligence" is the process that an investor goes through prior to making a financial investment in a company. ◉ Does every Investor use an identitcal "Investor Due Diligence" Process? While there will be some overlapping things that investors require from a startup prior to making a financial investment, no two investors follow an identical process. In fact, the process that each investor follows can be drastically different from another investor. ◉ How long will an Investor take for their Investor Due Diligence Process? My last two investment rounds of $40M and $35M my team and I opened and closed in about 30 days. This is an "unusually" short amount of time to close any amount of funding. Most of an Entrepreneurs engagements with Investors never bear fruit, but the investor rarely says "NO" - hence my Infinity time frame statement. Most "successful" fundings will take 90 to 180 days - unless you are very well prepared when you enter into the process. "I'll email you a username and password so you can access all of the Due Diligence material we've already prepared for you. I'd like to meet next week to see if you have any other questions and discuss terms".